Greetings children! Hope you are enjoying the winter season. If are feeling too cold, don’t worry, spring is not too far away. You will soon be in the company of bright colorful flowers and greeneries all around. 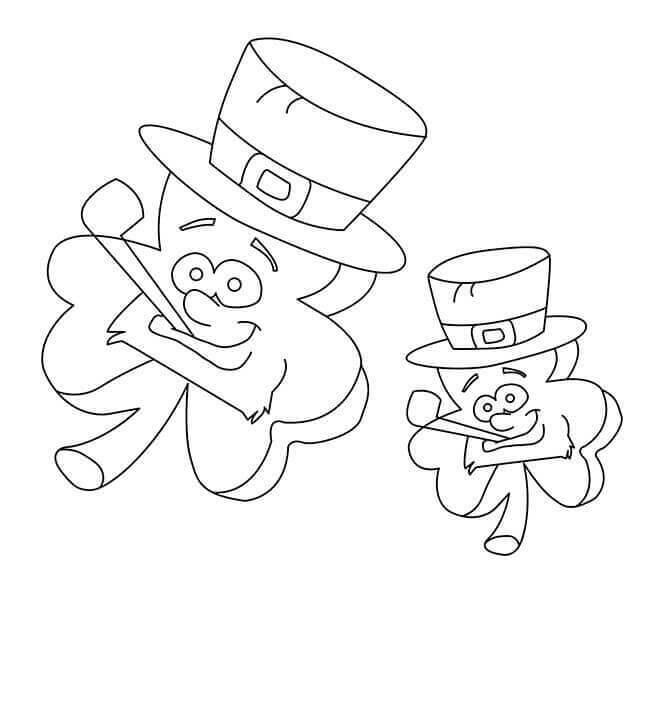 Talking of greeneries, today we have brought for you a collection of shamrock coloring pages to print. One of the varieties of the clover, the shamrock is a young sprig used as a symbol of Ireland. People also wear a shamrock on St. Patrick’s Day celebration, a public holiday marking the death of the patron saint of Ireland. Saint Patrick is believed to have demonstrated his point regarding the Christian Holy Trinity – the Father, the Son, and the Holy Spirit – using a shamrock, to the pagans. 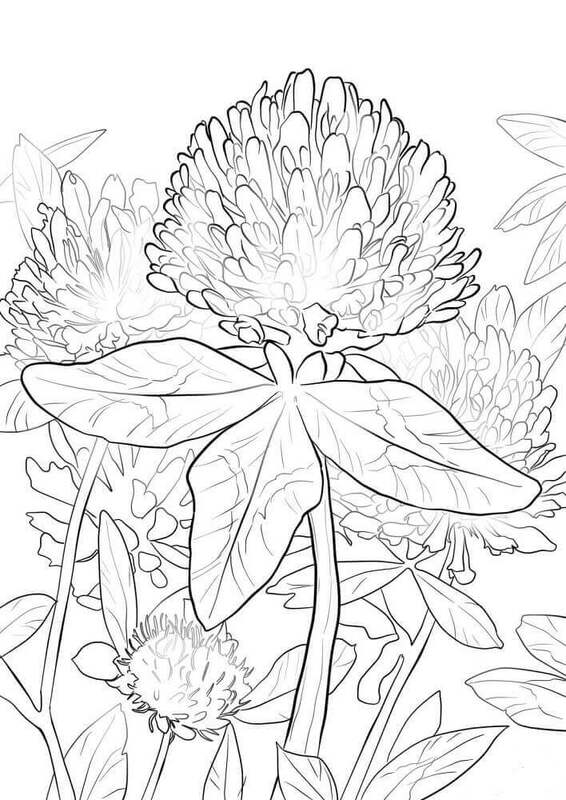 Let’s discover more about this plant and its association through this collection of shamrock coloring sheets to print. 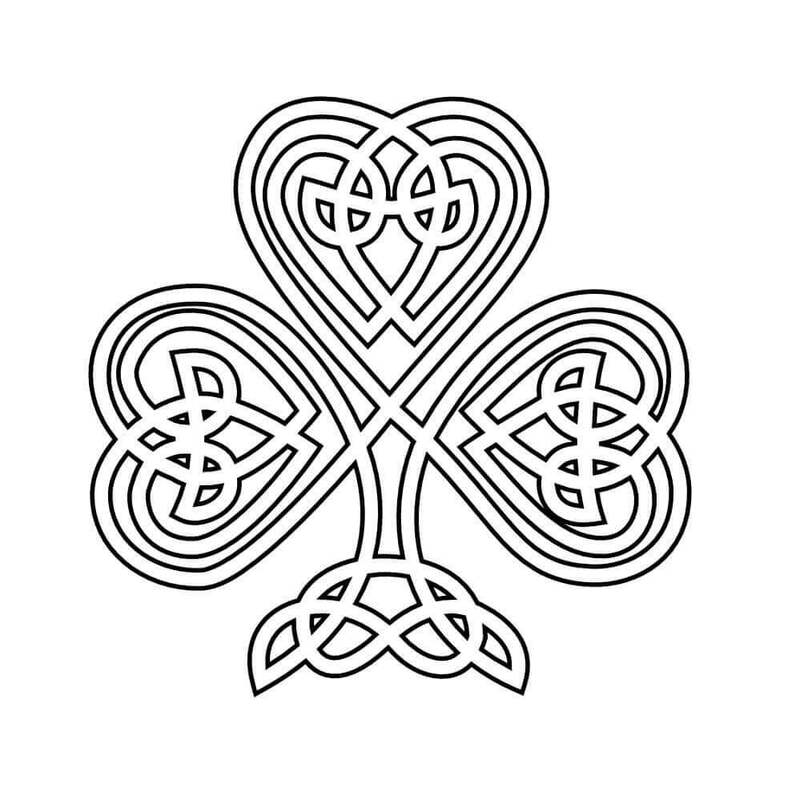 Illustrating the importance of shamrock in the Irish culture, this coloring page showcase a Celtic inspired design of a shamrock. You can print and color this page in Irish flag colors, one for each leaflet. 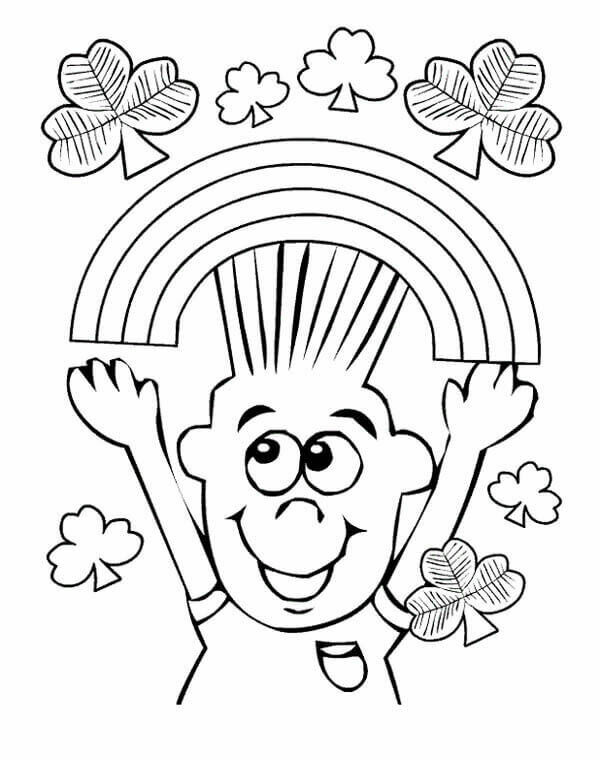 Giving you an overload of cuteness is this coloring page with a cute shamrock smiling face. What’s more, he is even wearing a special hat with a tiny little shamrock on it. 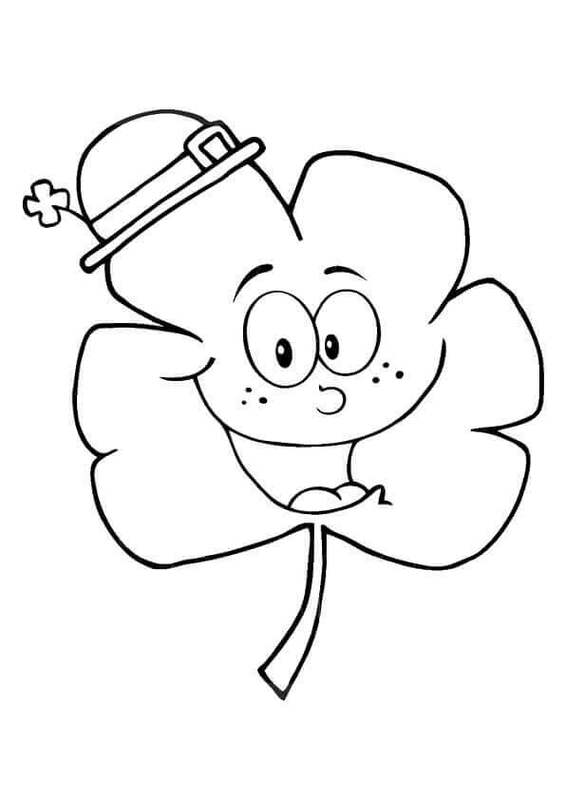 Give this smiley face shamrock some more reasons to smile about by printing and coloring this page. Four-leaf clover, a rare form of the common three-leaf clover, is considered supremely lucky. Illustrated alongside is a leprechaun hat worn by the leprechaun, an Irish bearded little fairy, believed to be rich owing to the treasure pot of gold. Together this coloring page boast of some good luck and good fortune. Make the most of these qualities by adding colors to this page. 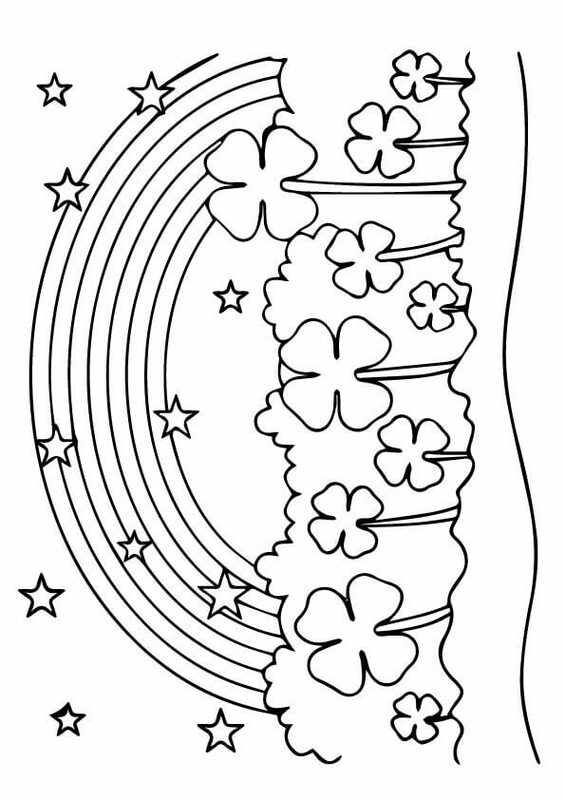 There’s so much good luck illustrated on this coloring page filled with a rainbow, stars and lots of four-leaf clovers growing in the field. Some believe that each of the leaves of a clover means something, like the first means hope, the second leaf represents faith, the third stands for love and the fourth brings good luck. The rarity of someone finding a four-leaf clover has led to the belief of it bringing about good luck to the finder. There was even an actual survey carried out to ascertain the probability, which was found to be at a frequency of 5000 three-leaf clovers to 1 four-leaf clover. As part of the celebration of St. Patrick’s Day, several customs and traditions are held. 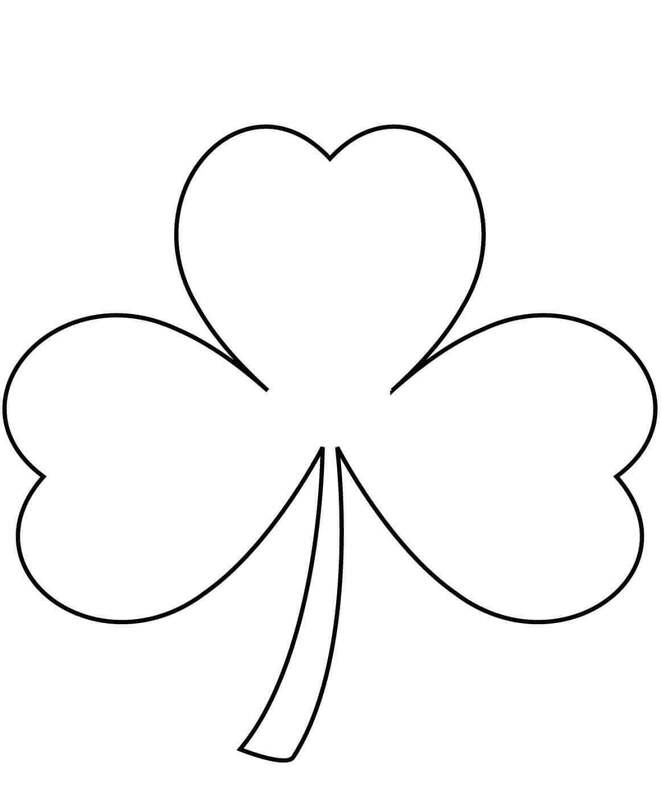 Among them is of people wearing a shamrock – a trifoliate clover. This illustration combines this traditional celebration and some old world luck with the accompanied four-leaf clover. 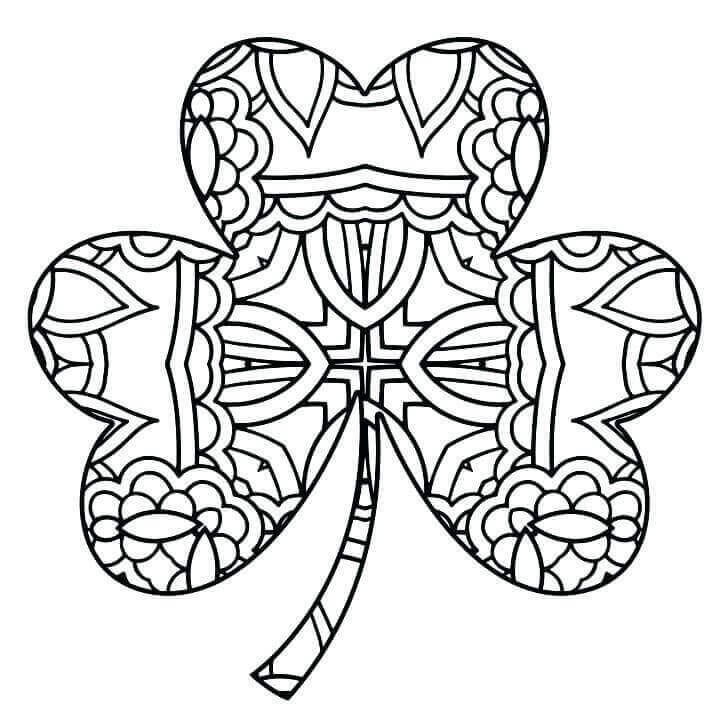 Bringing about an artistic touch to the simple illustration of a shamrock is this imaginative coloring page. Let your creative side shine through as you print and color this elaborate design in a spectrum of colors. Every celebration is incomplete without some fun and joy. 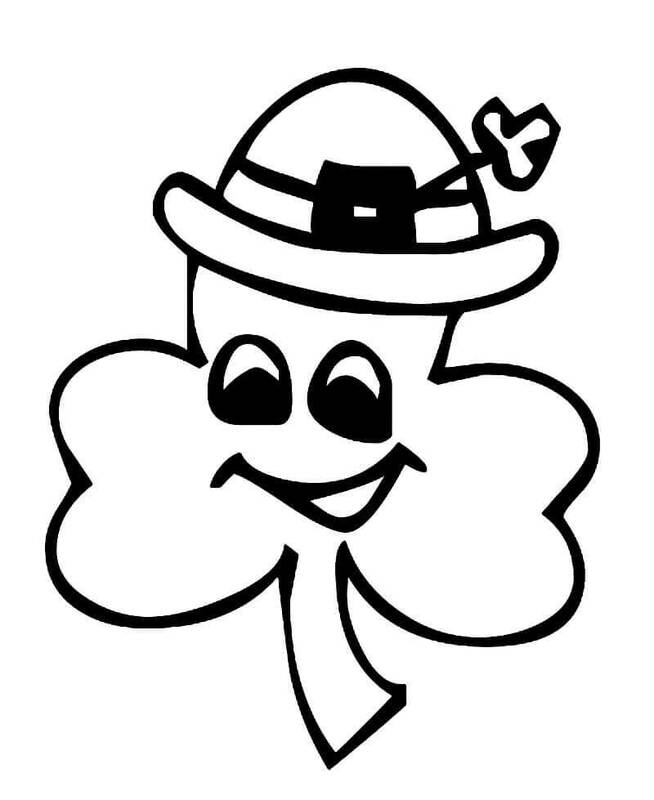 Adding that special touch of happiness to the festivities is this fun illustration of a shamrock with a laughing face. Bring more joy by printing and coloring this page in happy colors. Keeping with the tradition, this little girl is aptly dressed and holding a shamrock as part of the St. Patrick’s Day celebration. While we must keep up with the changing times, some traditions never grow old. Following along the lines of the artistically created shamrock coloring page, this illustration delves into the creative intricacies in its shamrock design. Bring out your creative touch as you print and carefully color this page. Leprechauns are hardworking and reclusive creatures. This particular leprechaun is lucky too, having found the rare four-leaf clover on one of his daily nature walks. Appreciating nature has brought him good luck. You too should care for nature and with luck, we will be able to reduce the impact of climatic change on our mother earth. It’s a curious sight to see a leprechaun hat full of shamrocks. 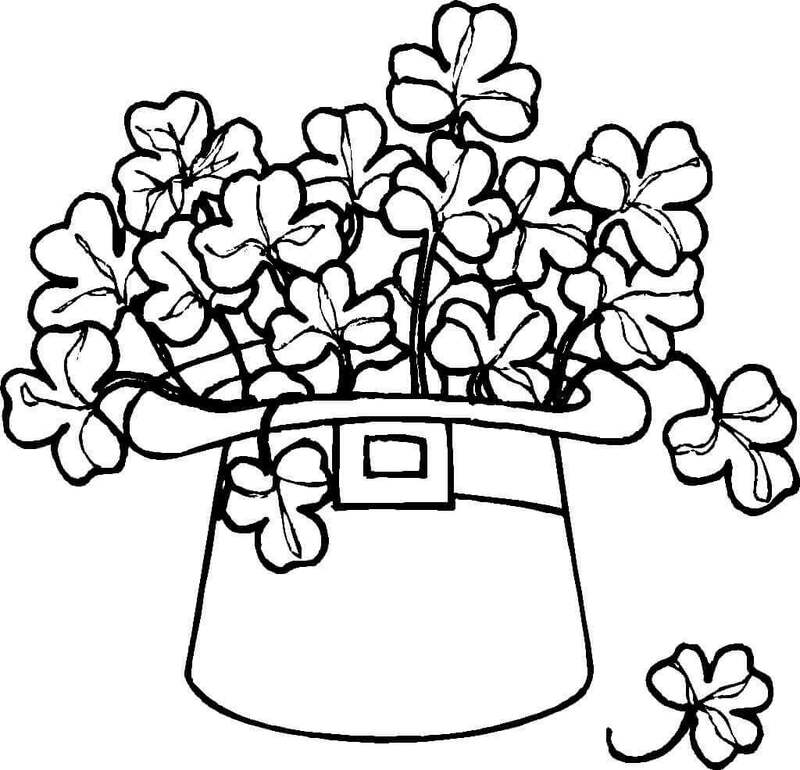 Perhaps this is how the leprechauns make use of their old hats, turning it into something useful like a pot for the shamrocks to grow. It’s an interesting habit to cultivate, turning something rubbish into something useful. 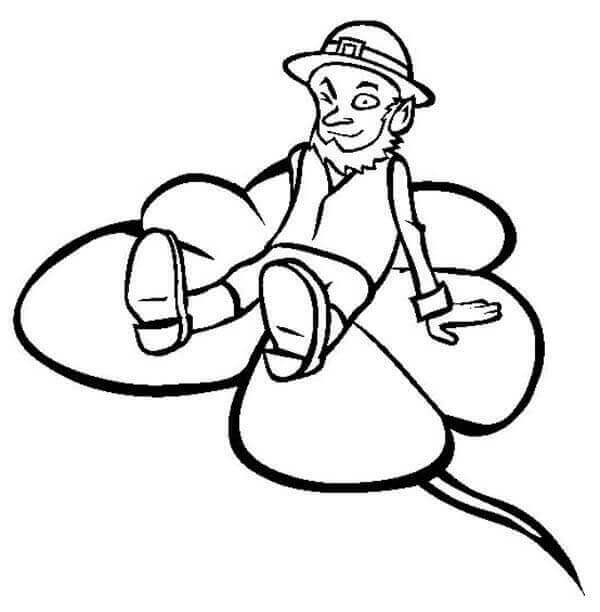 Cleverly illustrating an exaggerated idea of leprechauns being small and tiny, this coloring page shows a leprechaun resting on a shamrock. Did you know that leprechauns are also considered lucky? If encountered or caught by a human, they can grant three wishes in return for their freedom. When you find something lucky like a four-leaf clover, you are bound to celebrate and rejoice. Mickey Mouse here has gone one step further in his celebration. You can see him jumping and doing his happy little dance. Much like Mickey Mouse, this piglet’s joy knows no bound. 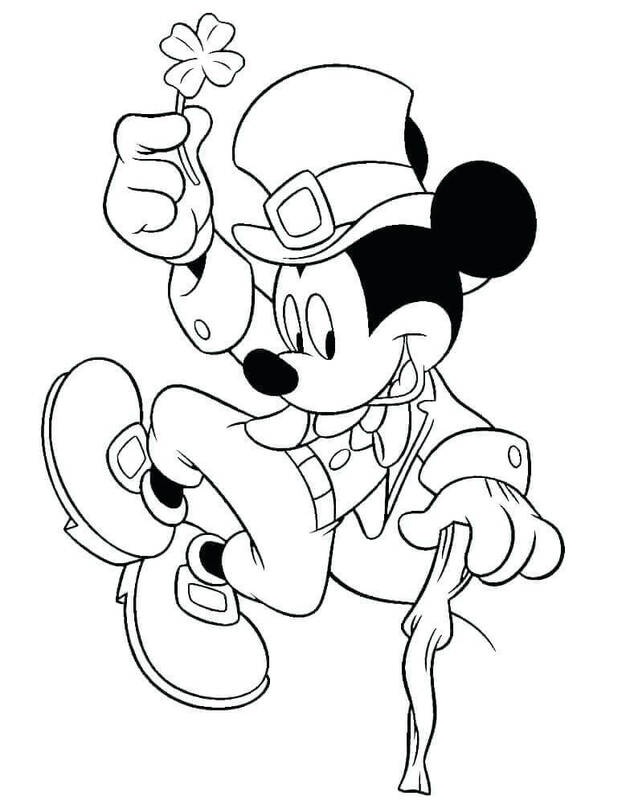 He is proudly showcasing the four-leaf clover in his hand as he dances around in celebration. Presenting its beautiful blossom, this red clover illustration is detailed to the last leaf and veins. Make sure you give its coloring the same detailed concentration and colors. The time now to play a little shamrock game. You need to help this leprechaun find his lost treasure pot of gold. 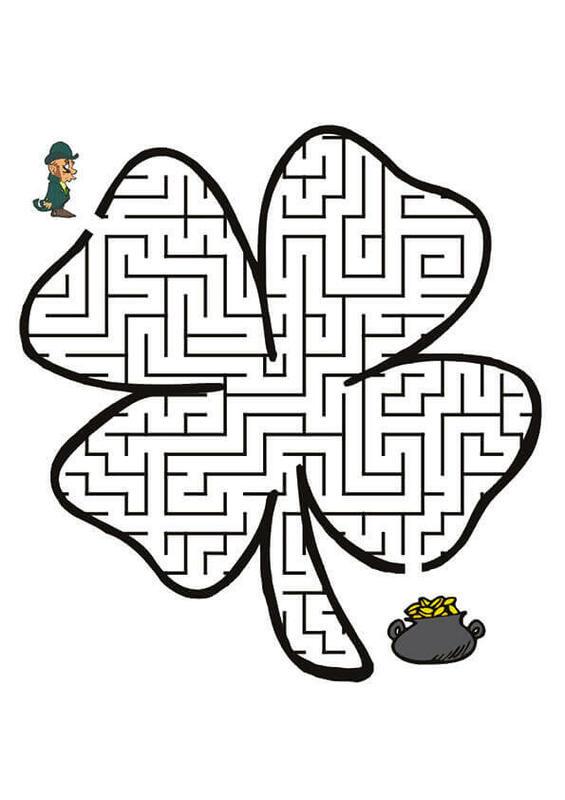 Instead of looking at the end of a rainbow, the treasure is hidden at the end of a maze shaped like a shamrock. Print and color this page for a successful treasure hunt. This boy has decided to surround himself with all things that make him happy – lots of shamrocks and a huge rainbow. Add to his happiness by printing and coloring this page. 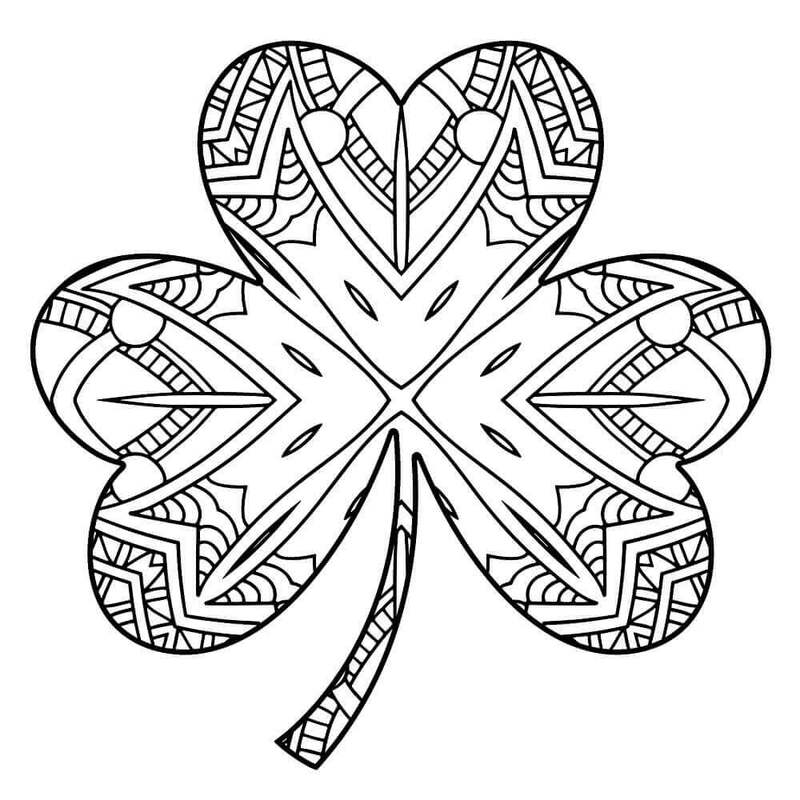 Let your creativity flow as generously as illustrated on this coloring page with this amazingly designed shamrock. 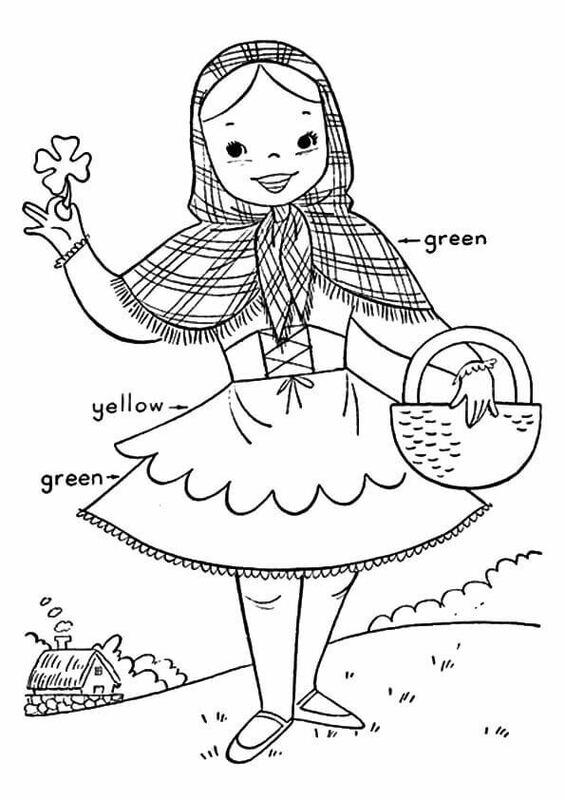 You can choose to color using different shades of green or make it all different colors. For those who are still at the early stage of learning how to color, this coloring page is just the perfect one for you. 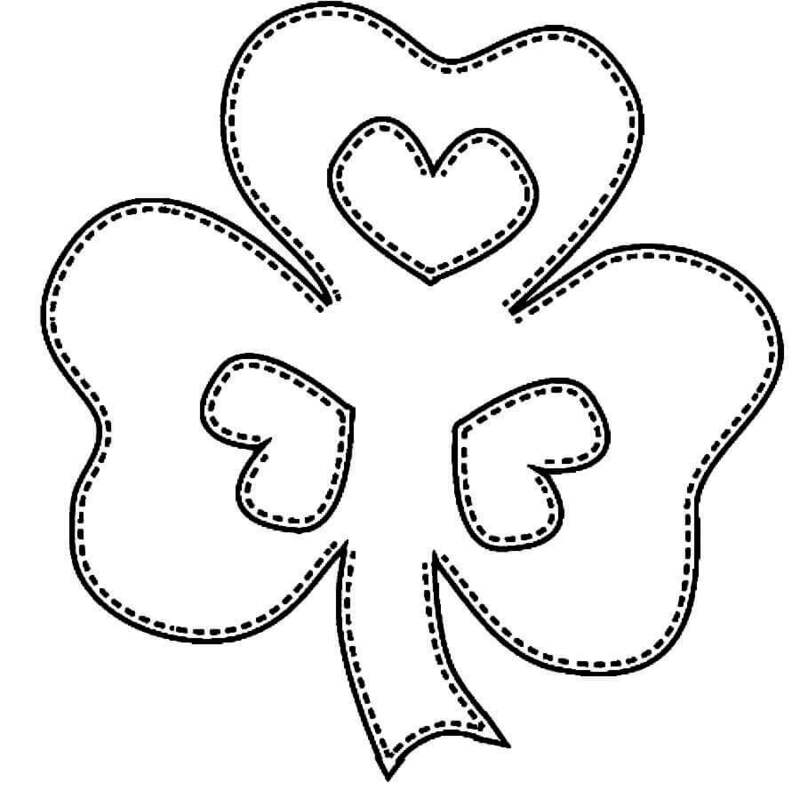 You can print and color this simple illustration of a shamrock in the color of your choice. There is no use of luck without hard work. 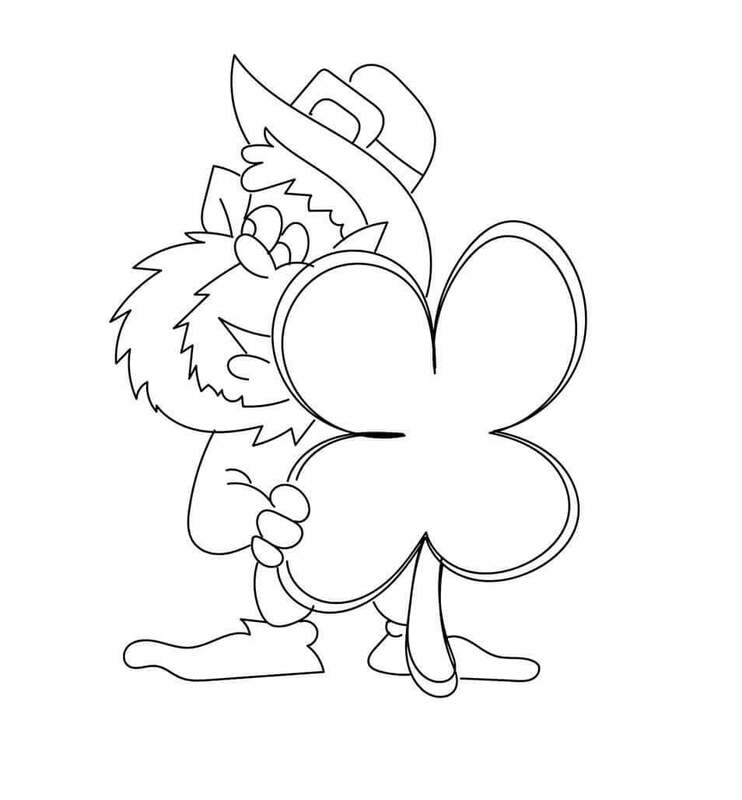 This hardworking leprechaun had looked carefully for a four-leaf clover every time he was out and about in nature. Today it paid off for him as he found one. If you work hard at something, good luck and good fortune will surely come your way. You may fail sometimes, but the key is to persevere. Proving his worth as a leprechaun, despite being a mouse, this leprechaun mouse is enjoying the fruit of his labor today. He managed to find the gold at the end of the rainbow near a garden of shamrock. Join him in his celebration by printing and adding joyous colors. Even Shamrock is participating in the festivities of the St. Patrick’s Day celebration. Since it can’t put on the full attire of a leprechaun, it has decided to wear a tiny leprechaun hat instead with a tiny shamrock tucked into it. When your heart is in something, you can always find a way to make it work. Look at the sheer joy on this shamrock face. Taking a cue from the shamrock face, these two shamrocks have added one more touch to their imitation of being a leprechaun. They have included the smoking pipes into their attire along with the leprechaun hats. Reward their ingenious thinking by printing and coloring this page in bright and lively colors. All said and done, there is no alternative to simplicity. Simple things are hard to find and give the most happiness. Like a goodnight kiss from your parents or a welcome hug from your pet. Make the most of this simple illustration by carefully coloring it within the lines in simple green color. 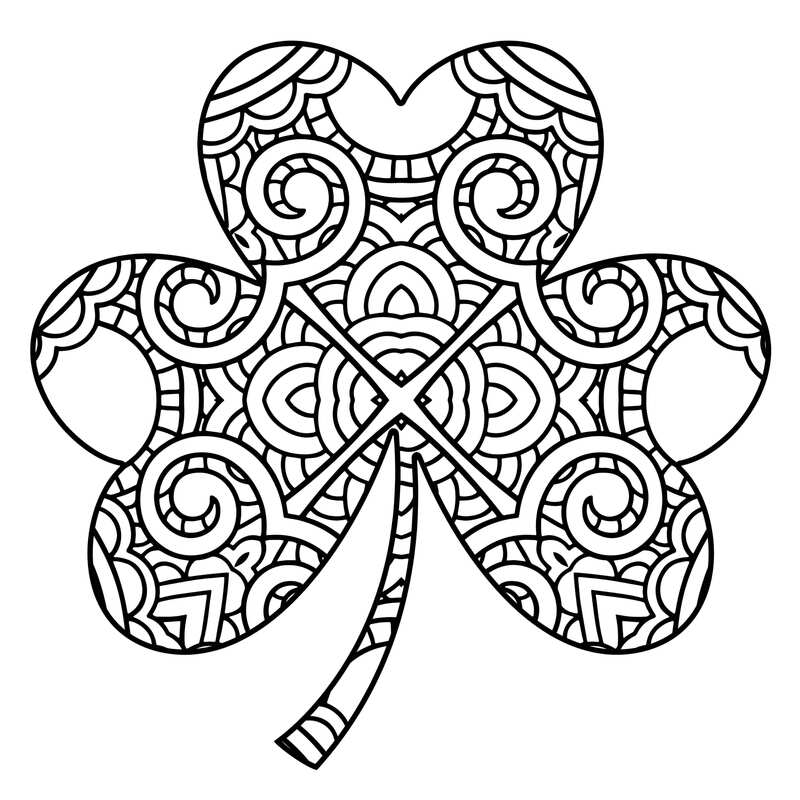 On that note of simplicity, we are ending today’s collection of shamrock coloring pictures to print. 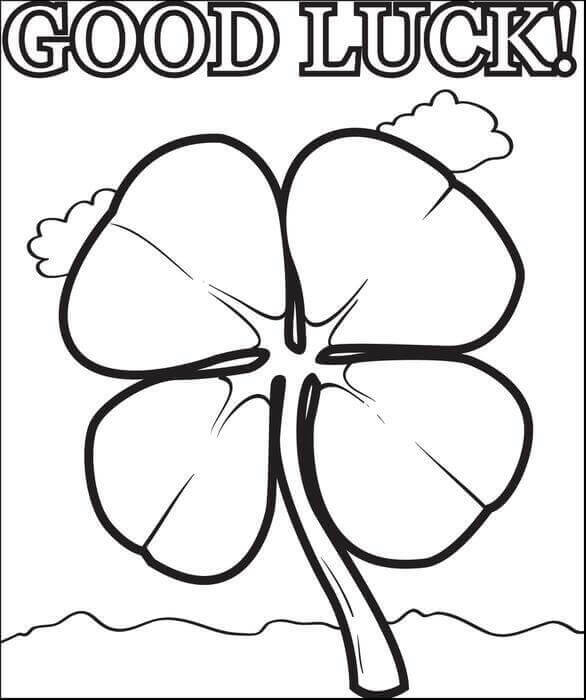 Hopefully, you have thoroughly enjoyed this fun collection, learning about good luck and hard work through shamrock coloring pages printable. Always remember that your chances of being lucky to go higher with the amount of the hard work you put into the things you do in life.